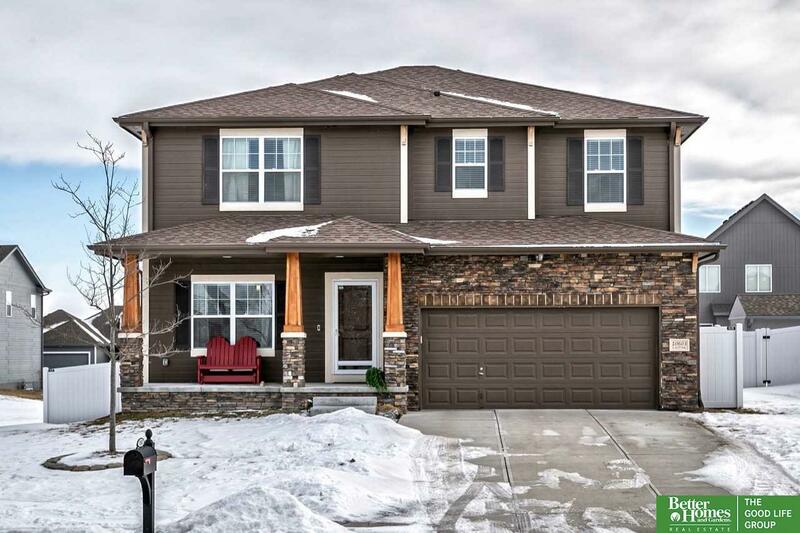 Stunning true 4 bedroom, 2 story home in the Papillion neighborhood of Kingsbury Hills. Open floor plan on the main level and spacious bedroom sizes on second level. Master bedroom has attached seating area with plenty of natural light. Attached master bathroom boasts double sinks, oversized shower, and a walk in closet that dreams are made of. Flat, fenced in back yard will have you imagining entertaining on summer evenings. This home is a showstopper, so don't wait to check it out!